Brink Oostzijde 6, 9470 Zuidlaren, Netherlands. 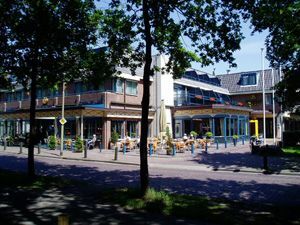 Situated in the centre of Zuidlaren, on one of seven village squares, Tulip Inn Brinkhotel Zuidlaren, renovated in 2008, offers you all the hospitality and facilities you need for a successful holiday, midweek break or weekend, or simply a spontaneous day out. The hotel has 54 rooms with a shower, toilet, TV, telephone and mini-bar. A number of spacious rooms also have a bath. Most of the rooms feature a balcony. Tulip Inn Brinkhotel Zuidlaren also has an outstanding kitchen, a brasserie with an open hearth and a restaurant with the kind of ambience that will make you feel perfectly at home. There are also several conferencerooms, equipped with all the necessary facilities ideal for meetings and seminars. Forest, Near exhibion centre, Museum Area, Near highway, Lake, Near airport, Near shopping centre. For older children and adults 26.00 € for each additional bed is charged. Tulip Inn Brinkhotel Zuidlaren has an outstanding kitchen, a bar, a brasserie with an open hearth and a restaurant with the kind of ambience that makes you feel perfectly at home. Zuidlaren is a village with a long history and presents everything a typical Dutch village should offer. There are shops, café’s, restaurants, characteristic churches and a classic windmill, which has demonstrations on a regular basis. The neighbourhood of Zuidlaren Zuidlaren is surrounded by forests, lakes and plenty of cycle tracks to enjoy the typical Dutch landscape, like heather fields. Forests, moors, natural parks and the bicycle possibilities are often mentioned as motive to spend the vacation in our village. Furthermore the province of Drenthe is very known of their “hunnebedden”, which are graves of rocks constructed in the prehistory. For the children the surroundings provide several entertaining parks and a fairytale garden. 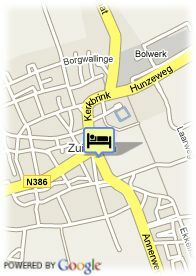 When visiting Zuildaren the hotel always suggest you to go to the historical village; Orvelte. Orvelte, a national monument, shows the visitor how the people in Northern Netherlands lived in the past. You can explore for example houses of turf. Some popular destinations One of the biggest attractions in Northern Netherlands is the Zoo in Emmen (45 minutes driving), which is known as one of the best Zoo’s of Europe. Another popular destination in this part of the Netherlands are the typical islands, Schiermonnikoog and Borkum (Germany), which is only one hour driving and approximately one hour sailing. The visitor will be able to get to these islands by bus and boat and enjoy the beaches and sand dunes, while walking or cycling. You can visit it within a day. The nearest largest city is Groningen (15 minutes driving), which offers plenty of shops and night life for everyone. There is a casino (entrée tickets can be arranged via the hotel) and you can enjoy a boat trip through the authentic canals to enjoy the typical Dutch architecture. Groningen has its own museum of modern art, which is a must to visit as well. The building itself is an art piece on its own. Also worth a visit is the Church in Groningen, the Martini Tower. At the top you will explore a beautiful view of the Dutch landscape.